America is the leading country in obesity statistics. Many people in America have a bad diet. 60 million people in America are obese are at the age of 20. Nine million children and teens are obese in the USA as well. Obesity is caused by eating too much junk food and not doing enough exercise. There’s a restaurant in America called the Heart Attack Grill where they sell burgers where they’re triple patties and quadruple patties in one burger. The spokesperson of the restaurant died from a heart attack. A lot of American food is really unhealthy. Obesity causes major health problems like heart attacks, heart disease and diabetes. They can sometimes lose limbs because of the weight and the pressure on their joints. Obese people also have short breath when walking around the house and also have bad knee problems. Obese people do have a lack of mobility to move around because of their weight and size. The number of estimated deaths from obesity around the world is 300,000 deaths per year. Obesity causes a lot of people to have a shorter life time. People who are obese have to have bigger coffins that can hold their weight instead of a normal coffin. Obesity can affect life as well as death. An easy way to avoid becoming obese is to eat less junk food and exercising daily. Having a healthy diet will also help to avoid obesity. The egg is a big part in our daily diet which people eat two and half million a day. The egg is most known for its protein it also has a lot of different vitamins like vitamin A,D,E. Its yolk is the part of the egg which holds most of the nutrition while the white part only gives protein. There is also no difference between the white and brown. Most of our eggs are from caged hens. Other eggs are produced from free range eggs and barn eggs. Caged hens have six hens per cage which means they only have room to stand, sit and turn around. The hens have never seen daylight and have never had a chance to run around. Caged hens are fed colouring agents to colour the yolk. Caged hens also have to eat a lot of calcium in their feed to keep their bones strong. Free range hens have a lot more space and are fed with natural things like grass, bugs and worms. The hens are also able to dust bath, perch, run around and flap their wings. The farmer provides shade for the birds so that predators like Eagles won’t hunt them. Eggs can be scrambled, poached and boiled. Scramble is when the egg the egg is put in the pan with a cup of milk. Poached however you cook in water with salt in it and boiled is cook it in the shell of the egg in boiled water. As we headed into assembly I just remembered that Mrs Burt put out a competition in the holidays. That if children blogged their names would go into the draw to win a new phone. During the holidays my mum pushed me to do at least two posts. Very unexpectedly Mrs Burt drew out my name. I was half asleep when it happened. Lesieli won the first phone which was a Nokia and I won the second phone, a Samsung. I wanted to say thank-you to my mum for pushing me to post in holidays and to Telecom for donating the phones to our school. Thank You Mrs Burt as well for getting the prizes organised. 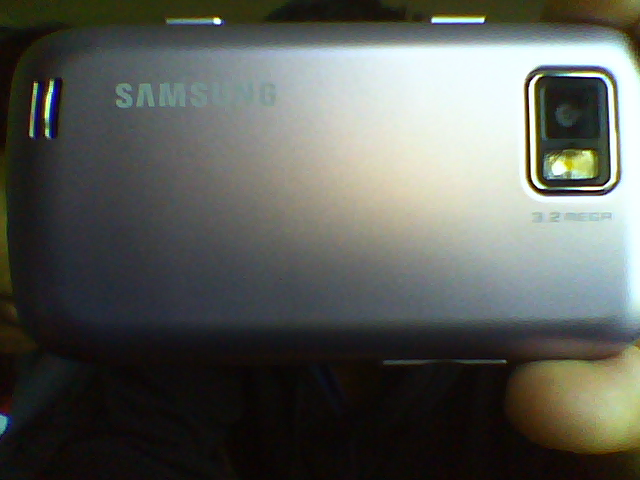 I’m glad I’ve got a new phone because it’s a touch phone and now I can get rid of my old one - it’s a Samsung too. Labels: Darius, pt england, pt england school, Telecom NZ. Butterflies fluttering around waiting for the unknown guest to arrive. Today was the day that a celebrity came to our school and gave a anonymous donation to the Manaiakalani Trust. Cars were pulling up and lots of medium built guys were in tuxedos with each of them wearing earpieces. I was shocked when I found out who was coming. My mum knew but she wasn't allowed to tell me. As the cars pulled up the guest came, it was WILL.I.AM he was the surprise visitor that was coming to give the donation. WILL.I.AM it was unimaginable to actually see him in real life. I greeted him with a simple “Hello” and shook his hand. As we headed into the hall everybody started to open their mouths in awe as WILL.I.AM entered. The cameras were blinding me as they all flashed. After escorting him to his seat we walked back to sit down. Once our kapahaka and Hip Hop group finished performing, WILL.I.AM shared a very inspirational speech with us. He talked about how he grew up and his family were poor. He really wanted to help out his mum when he was younger. WILL.I.AM is a very humble man, he shows a lot of leadership skills in raising money for charity. He was also wearing some really cool boots.We finished the hour off singing to WILL.I.AM our school song Strive To Succseed. Fortunately the whole school had left back to their daily routine again and the hall was almost empty. Interviews were everywhere, people asking WILL.I.AM questions. Some of the media people were interviewing prefects as well. I was interviewed five times by many well-known media like ZM radio station, Erin Simpson show and a bunch of other people. I didn't get a chance to see it on t.v or listen to it on the radio. However, lots of my friends and family me on the t.v again!